The popularity of lace goes way back in the 1800s when Queen Victoria choose a white gown embellished with laces for her wedding. Now laces have become a commodity, from table runners, handkerchiefs, corsets, veils, lingerie, and even wedding invitation samples. 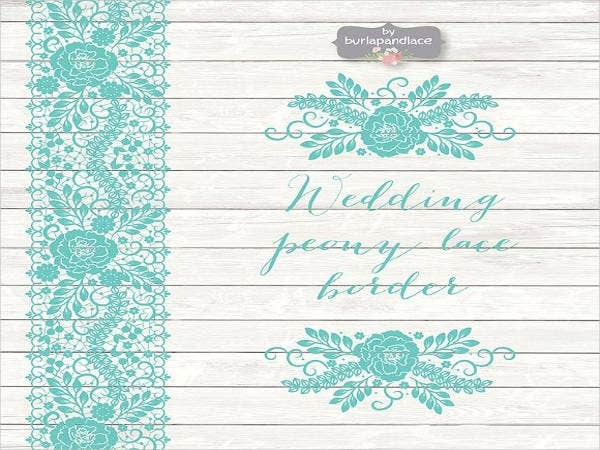 Lace design has now become a bride’s sidekick and a wedding coordinator’s best friend. There’s just something about lace that make weddings, or any celebration for that matter, more elegant and remarkable. So much so that wedding guests would not want to miss out on wedding days. 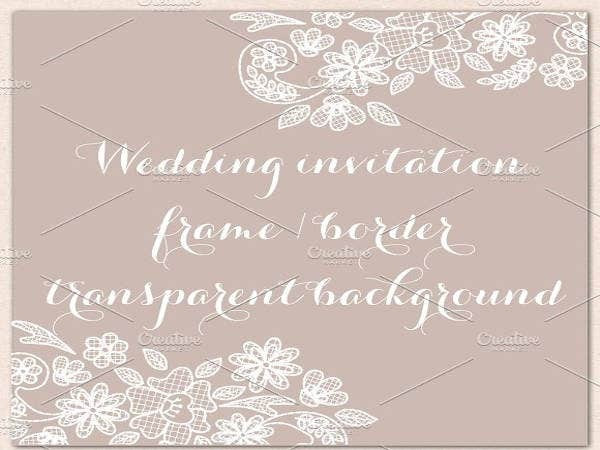 Each of the wedding invitation templates below gives a unique emphasis on lace design that’ll wow you. 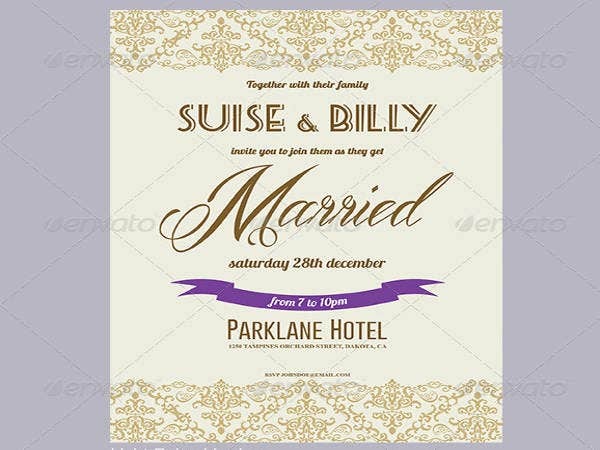 Wedding RSVPs need much attention to detail, that’s why you need easy-to-modify wedding invitation templates to match whatever wedding theme you have in mind. 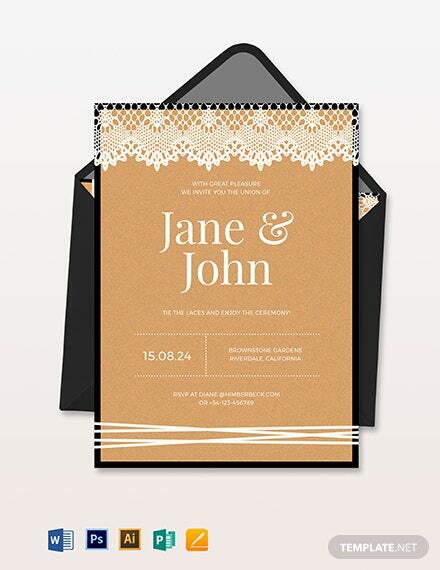 Whether you have a rustic, vintage, or beach wedding theme, you can find exquisite wedding invitation designs that suit your preferences or, better yet, match the wedding gown and every single detail planned out in the wedding. Guipure Lace Design. Also known as Venise lace, Guipure lace designs incorporate fine, geometrical, and repetitive patterns of flowers. Chantilly Lace Design. It’s a needlepoint floral lace design with curved edges. Alençon Lace Design. The term coming from a place in France, this design is similar to a bridal corset. 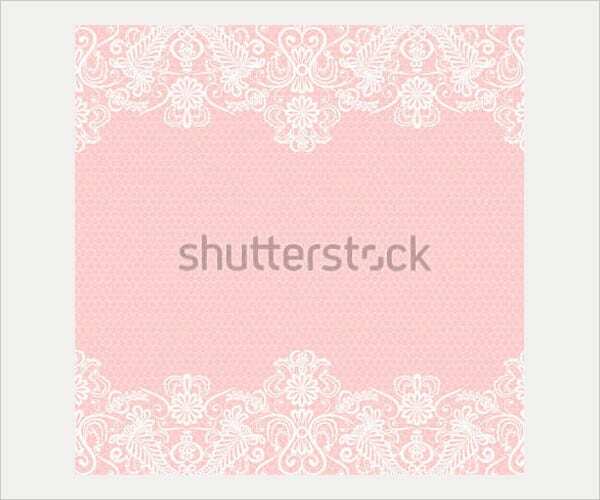 It has a floral design over a netted background. Knit Lace Design. This design intertwines floral and leaf designs in a tight and continuous pattern. Eyelet Lace Design. From the word, “eyelet”, this design makes use of simple eyelet designs for a more modern look. Embroidered Lace Design. 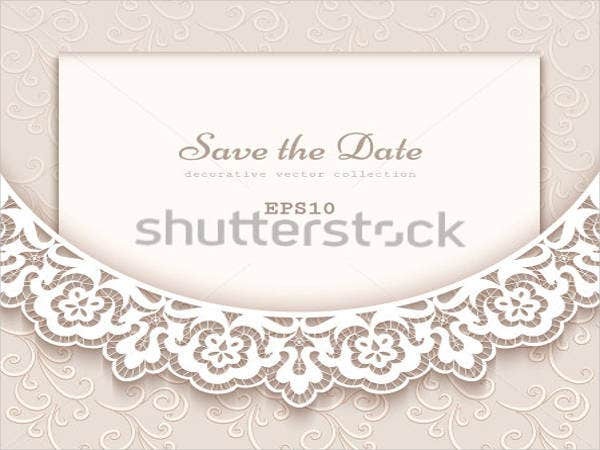 These digitally embroidered lace design is similar to an applique which creates more depth to your invitation. Brocade Lace Design. This design is similar to woven fabrics and usually embedded with gold or silver threads. The templates we have here are available to download for free, or license them for a reasonable amount. They come in various PSD, AI, Vector EPS, and other formats, so editing them and incorporating and combining two or more templates is easy (when you have the right software). 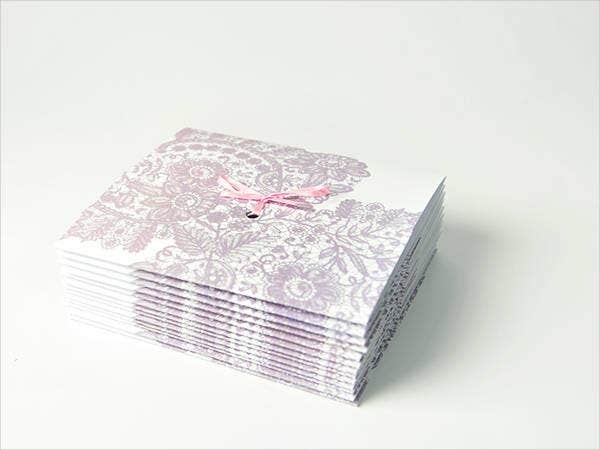 Aside from wedding invitations, you can surprise the bride-to-be by telling all her closest friends ahead of the upcoming bridal shower using bridal shower invitations. Sign of femininity. Lace designs are commonly associated with strong and sassy women. Female celebrities and even princesses and duchesses today wear lace every time they walk the red carpet or attend any fancy event. A decade of trend. Lace has been worn by royalty in the medieval period and even up to present by Victoria’s Secret Angels, which are a fashion fad among women of different ages. Powerful tool for attraction. 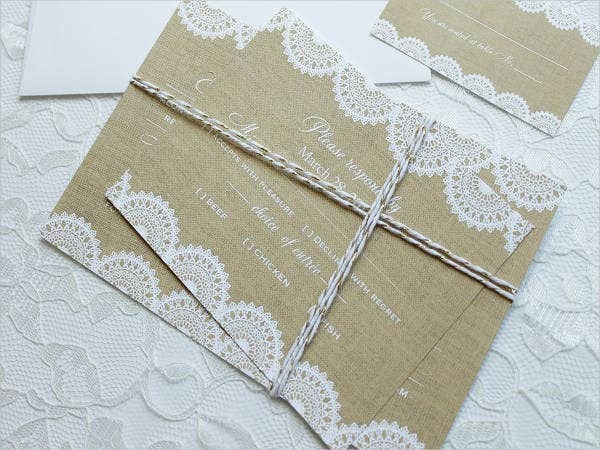 Adding a simple lace design to your invitation can make a huge difference. Lace designs are simple, elegant, and hard not to notice. 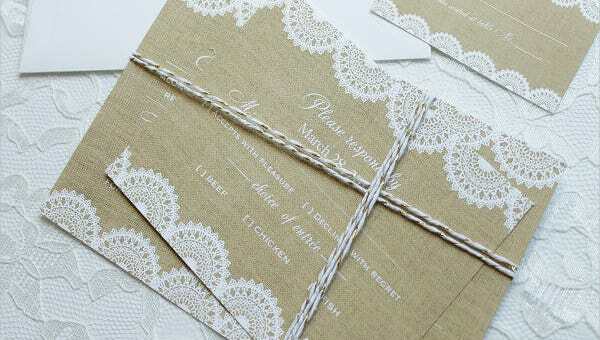 With different types of lace design invitations, it’s important to stick to what design you are most comfortable with. 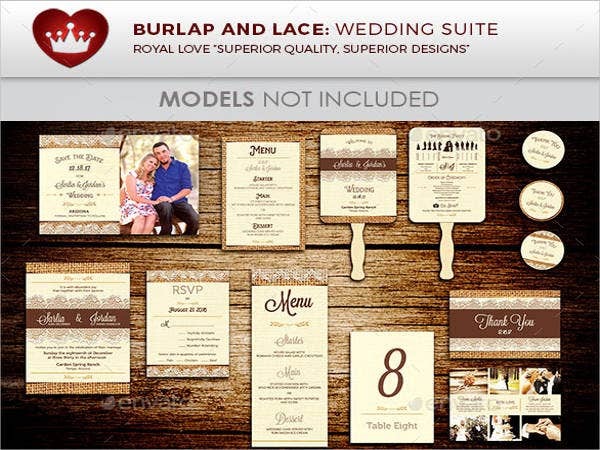 Make sure your design is synonymous with all wedding or bridal shower material you plan to get or create so your theme is unified. This way, you will prevent disorientation in the design and production aspect of the events and make your bride-to-be happy.